It's been ages since I posted some pictures of things I've bought so perhaps it's a good way to kill some time before getting disappointed when I discover that there's no new game announced at Jump Festa in a few hours. The first item is this magnificent specimen: Doki! A Microfiber Towel Loaded With Mikorin. I bought it from the Dogakobo online shop to cheer myself up after the Gekkan Shoujo Nozaki-kun anime came to an end. 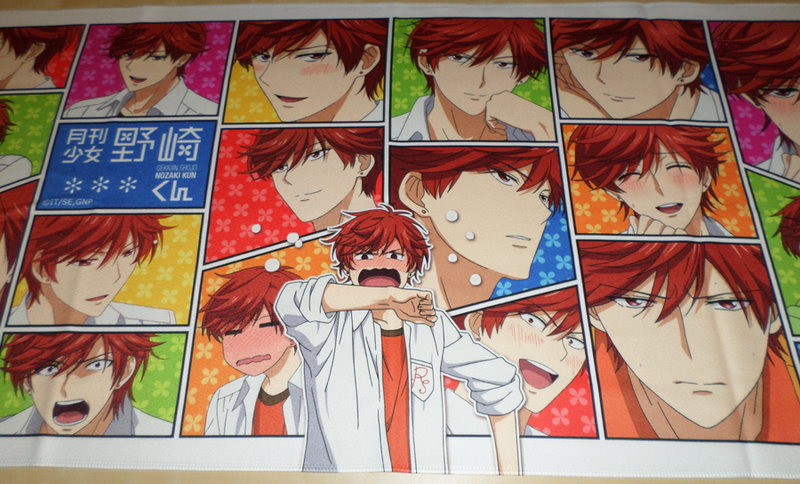 It's completely impractical as a towel, but there's so much Mikorin all over it that I can't complain. 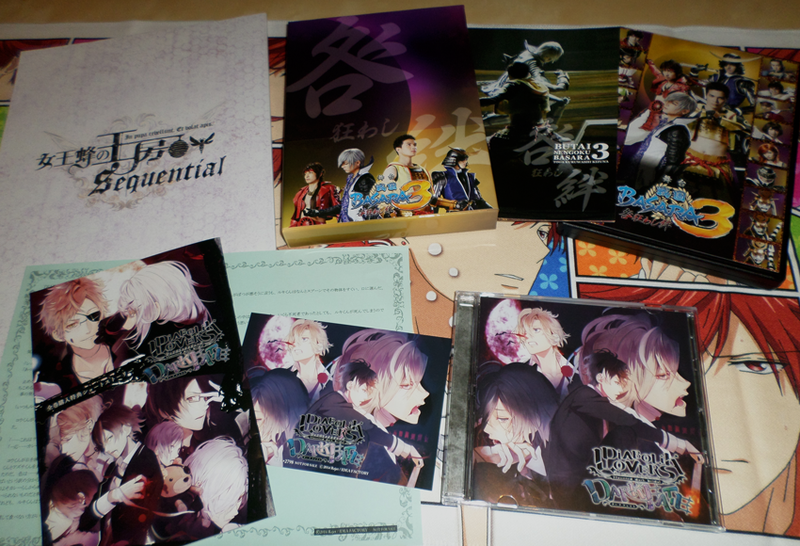 Moving on, I also received the final Diabolik Lovers Dark Fate CD along with Stellaworth's bromide, pamphlet and short story booklet. The collectible magazine which was sent to people who purchased both Jooubachi No Oubou games and completed the surveys inside is titled Sequential and positioned at the back of the picture. Then there's the special edition of Butai Sengoku Basara 3: Togakuruwashi Kizuna, the last Sengoku Basara stage play I need to watch. Unfortunately, there's been some kind of production problem with the credits on the stage play DVD and replacement discs have been shipped out to all buyers. My replacement won't arrive until January so I won't be able to watch the play for a few more weeks. I hope it's worth the wait!